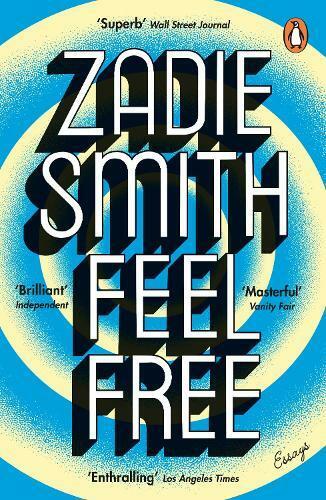 Zadie Smith’s new collection brings together eight years of eclectic cultural essays written ‘during the eight years of the Obama presidency’. In her foreword, she is specific about this period, and how it shaped her work: specifically, the ‘ambivalence’ it explores, about life, art, and what the intersection between the two tells us (or attempts to discover) about being human. As she suggests, it’s already a reminder of a time when public intellectuals could afford to wrestle with ambiguities. It’s a privilege and a thrill to be invited in to these moments of connection and reaction. It’s the kind of writing that inspires you to seek out or revisit what she’s engaging with, but also to take her myriad observations and apply them to your own reading and writing. Feel Free is like a series of amazing conversations about culture at your favourite pub, with that smarter-than-you, cooler-than-you friend who speaks with you (never at you) as if you were their equal.